The incredible colors of watermelon tourmaline are 100% natural – a rare occurrence that makes the gem highly collectable. 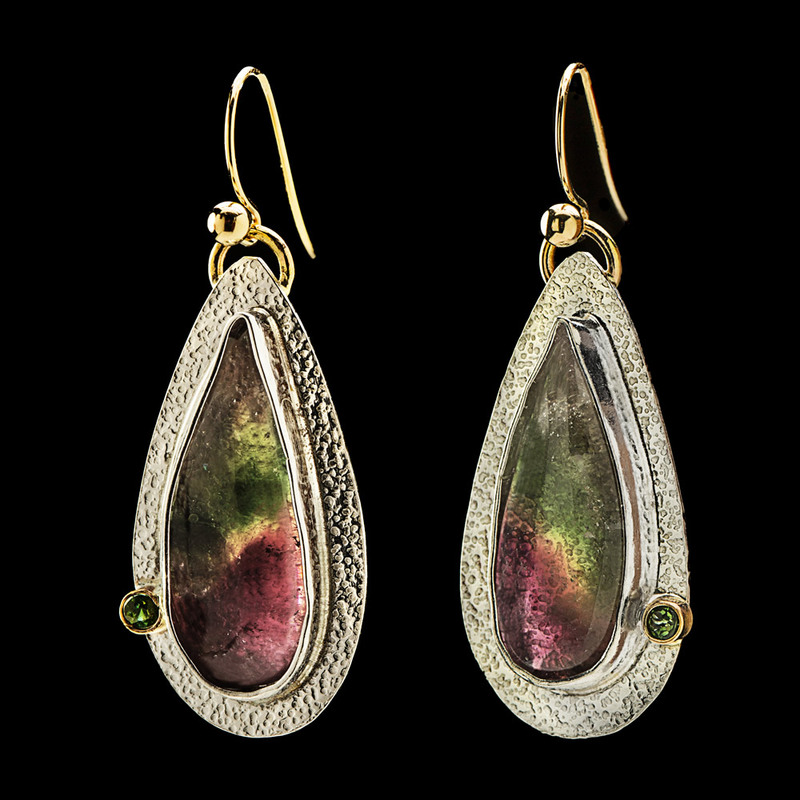 The stones in these Watermelon Tourmaline Earrings shade from green to pink and are set on roller-printed sterling. Each feature a pure green tourmaline accent stone set in 14K gold and 14K gold jump rings and ear wires. The earrings measure 1.5″L x 0.5″W. Mainly mined in Maine, tourmaline is considered one of earth’s most beautiful gems – worth owning, collecting, and cherishing.